This is a Scale Interco® Bogger® Licensed Decal Sheet. 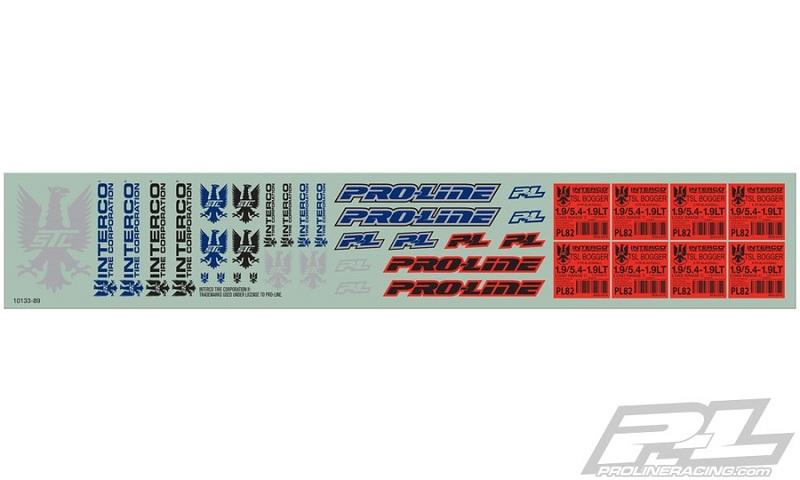 Pro-Line has your licensed Interco® Bogger® tires covered with scale tire decals that are just like the real thing! These decals go along perfectly to add the next level of scale realism to your 10133-33 tires and also feature Interco® logo decals that you can add to your truck! Get your own licensed Interco® decals now!